Entrepreneurs thrive on novelty and non-linear thinking - two strengths that make them visionaries, early adopters, and risk-takers. At the same time, they're business leaders, and the daily work of running or starting a business can often be mundane. 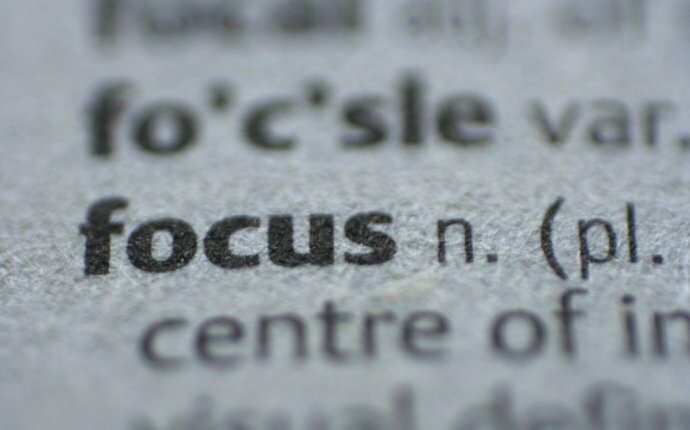 So how do you, as an entrepreneur, stay focused for the daily grind? "Sports psychology is where we're making the most progress for attention control, " says Lucy Jo Palladino, psychologist and author of Find Your Focus Zone (Free Press, 2011). "Athletes engage in long, boring practices every day. They must find a way to sustain that motivation and energy." Athletes have found several strategies to help them stay motivated and focused during the years they spend in training for one event. They are the epitome of people who crave high stimulation but focus exceptionally well on the tedious work to achieve their dreams and goals. 1. Mentally rehearse the task. To get psyched for a training session, athletes often imagine themselves acting out a successful training. You can do the same when you face a boring or difficult task. "See yourself doing it to mentally prepare yourself, " Palladino says. In addition to imagining the outcome, you need to see how to get there. "For someone sitting in an office, mental rehearsal has more to do with planning the task, or breaking it into small, manageable parts, " Palladino says. Start your day by creating a task list that includes everything you need to do to accomplish your goals, then tackle three at a time [in one sitting] and take a break between each set. 2. Keep your energy up during breaks. Just as athletes keep their blood moving between sets, entrepreneurs need active breaks to stay focused. "There's a strong link between physical activity and cognitive functioning, " Palladino says. Actively engaging your body and mind throughout the day will keep your momentum going. Every 20 minutes, stand up. "Get your muscles moving, rest your eyes, and get your body out of its chair, " Palladino says. You could walk around the room, run up the stairs, have a conversation, or try a work-related task like clearing the clutter off your desk or reorganizing your files. That activity preps you for the next 20 minutes. You can adjust the interval time as needed. 3. Listen to your inner coach. When we procrastinate or get distracted, we often get down on ourselves. We replay our faults, beating ourselves up for whatever we shouldn't have done. "Our inner critic becomes a whole lot more active than our inner coach, " Palladino says. Instead, imagine what a coach would say to a boxer that's taking a beating. Things such as: "You can do it, get up, keep going." A coach would help you adjust your strategy and refocus your attention on the end goal. If you can learn to do that for yourself, you will be much more likely to succeed. "What we go over in our minds will increase the likelihood of future behavior, " Palladino says. If you practice coaching yourself to focus, then eventually, you will. 4. Review which strategies worked. Athletes review game tapes to learn what worked and didn't so they can improve the next time. You can apply the same principle to help you learn to focus. "You're looking to build self-awareness without self-blame, " Palladino says. As you think back on your day, notice what you were doing during and around the times when you got distracted. "Just say, I need a better strategy at this moment, " Palladino says. To find that strategy, notice what you did on the days when you felt focused and do that when you start to feel distracted. If you continue to learn and practice, you'll improve. @DualityOfFlame — Girl for her help before focusing on Todoroki. "Do… Do you think this whole thing will be over with soon?" @nsarmoredfrog Inking the ground can help in Ranked, but more important is focusing on the objective and trying to work with your team!